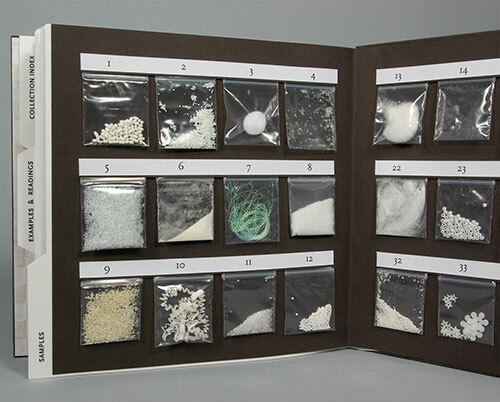 Fake Snow Collection, 2010. 8.5 x 9 x 1 in. 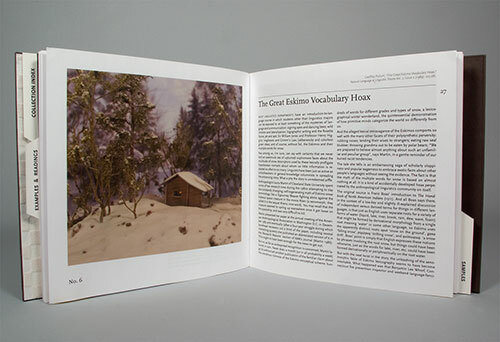 Printed on a HP Indigo Press and bound by hand, 75 pages, edition of 100. 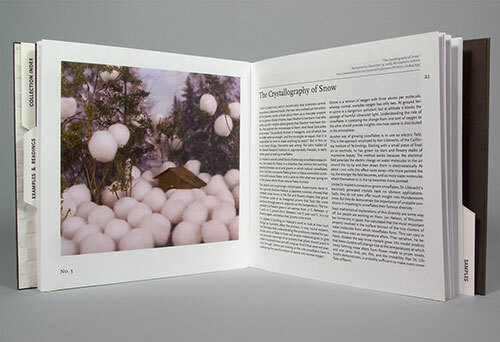 Published by Visual Studies Workshop Press. 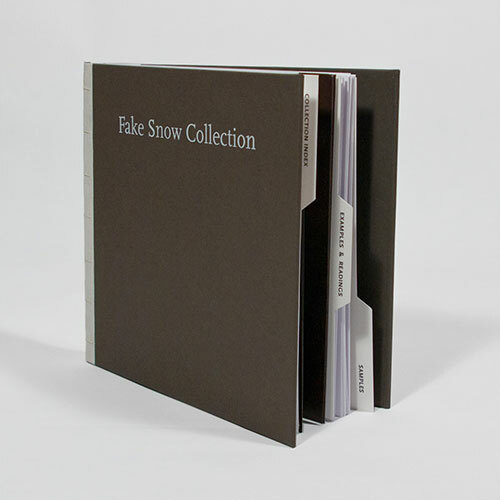 Fake Snow Collection includes annotated images of 40 fake snow specimens, 17 topical readings accompanied by images of fake snow in use, and 24 samples of fake snow. Fake Snow Collection: $140. includes shipping regular mail within the USA/Canada. For shipping outside the USA/Canada please email for an estimate before purchase [ hn (at) heidineilson (dot) com ]. Visit the shop for more info and a full list of works available.